From an early age Jeff has been driven by a passion for good architecture. He instinctively knew he would become either a builder or an architect. 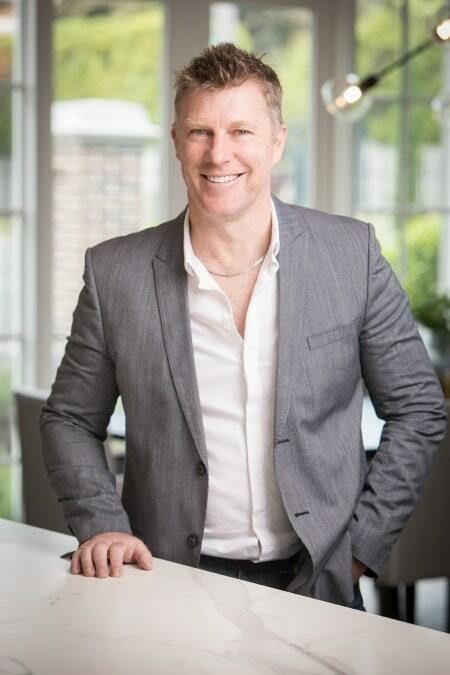 At 16, he chose an apprenticeship in carpentry and joinery – and learnt the building trade from the ground up.By age 19, Jeff was running his own construction business as a fully licensed registered builder and a member of the HIA the Master Builders Association.Now for over 30 years, Jeff has focused on doing what he loves: building premium custom homes. A self-confessed perfectionist, Jeff has extensive experience in the intricate detail of construction methods, plans, permits, design, estimating, supervision and project management. On top of his decades of experience, Jeff has an ongoing commitment to training in the latest building techniques and technologies.Jeff’s philosophy is simple: never compromise on finish and always deliver above client expectations, no matter what. Little wonder that many of Verdé’s clients become lifelong friends and the majority of new clients come from referral.